Happy Tuesday... or in my case, Thursday! Which is a good thing since I got about... 4 hours of sleep last night. Maybe. So I'm a little tired right now. Anyway, I was super excited to get my newest round of e.l.f products in the mail last week just in time for the holidays! This is my favorite time of year to experiment with new products and looks so I was definitely happy to see several new eyeshadows this time around. 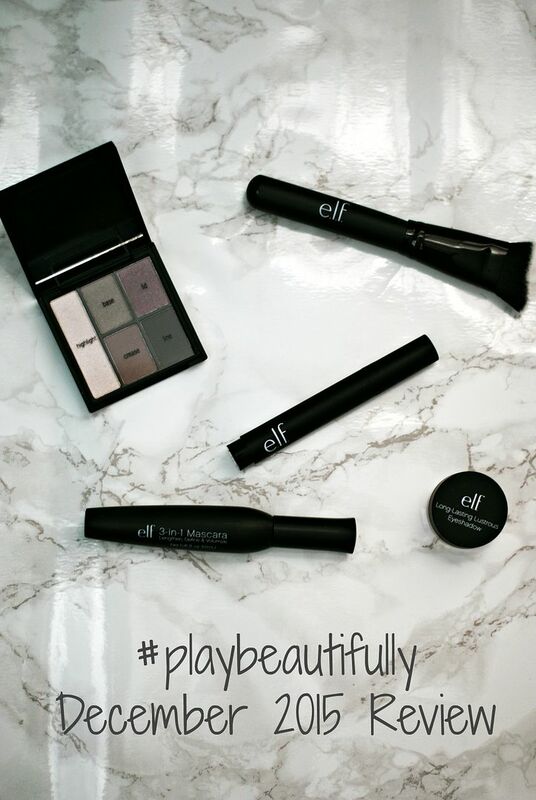 It's always fun getting to try out a smokey eye or a fun shimmery look around the holidays and the e.l.f products do not disappoint! e.l.f Clay Eyeshadow Palette in Smoked to Perfection -While I usually stick to more neutral colors like browns and taupes, I was excited to see these colors when I opened this palette. 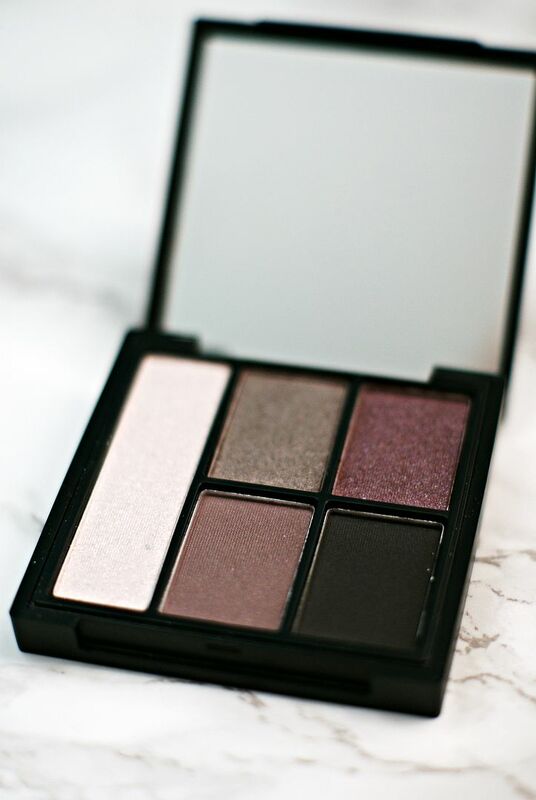 Most of the colors in this palette are shimmery so they're perfect for a night out and they glide on nice and smooth. 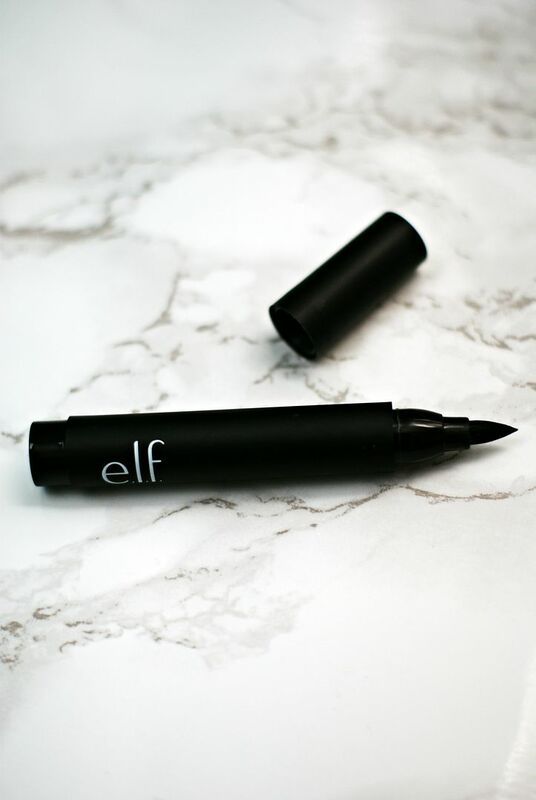 e.l.f Thick Tip Intense Ink Eyeliner - I don't usually use thick tipped eye liners so I was a bit hesitant about this but when I tried it I actually loved it! It resembles a magic marker so I basically just used like a marker and was extremely happy with how easily it went on and the nice straight line it made. 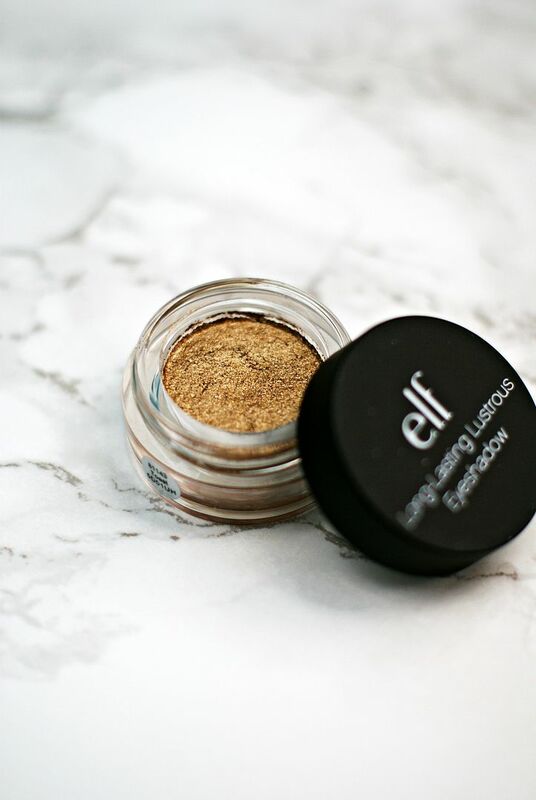 e.l.f.. Long Lasting Lusterous Eyeshadow in Toast -This reminds me more of a mousse type texture and while it isn't super pigmented it does have a lot of shimmer so it's perfect to get that beach goddess look or to go over top of a darker color to add some shine to a matte color. e.l.f 3-in-1 Mascara -I was pleasantly surprised at how much I loved this mascara. I'm usually a mascara snob (it's the one product I usually don't go out of my comfort zone to try something new) so I was skeptical about this. 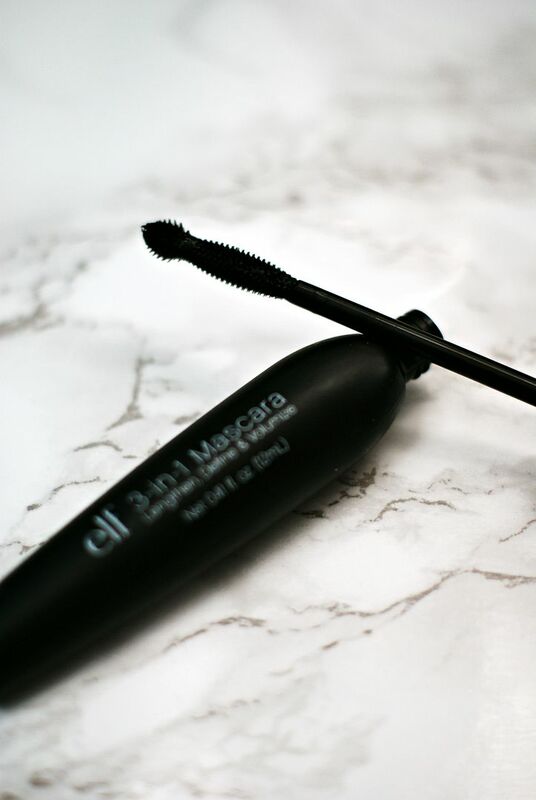 While I wouldn't say it was better than some of my go-to's for mascara I'd definitely say it's a close second and a big improvement over most other drugstore brands I've tried in the past. The brush provided length and definition as well as volume without making my lashes clumpy. 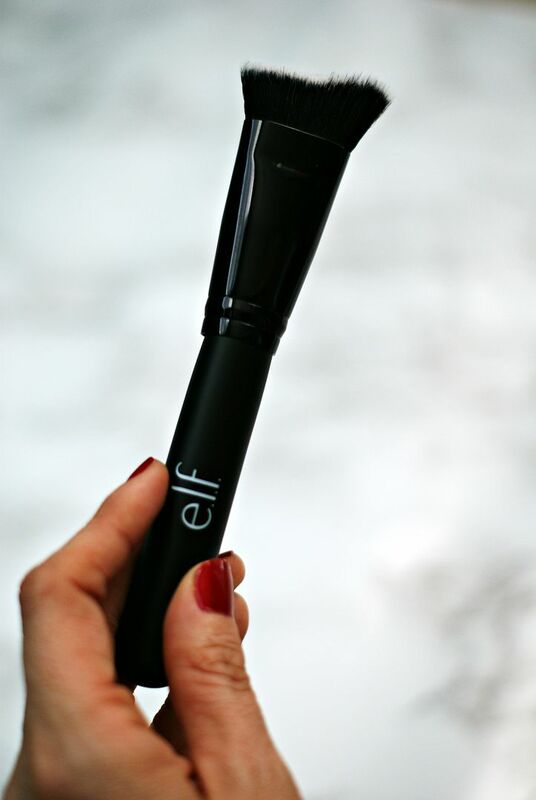 e.l.f Sculpting Face Brush -I've already raved about the e.l.f brushes and this one is no exception. I'd never tried a sculpting brush before but it really does make a difference in contouring. Before I had just used a regular brush but the dense bristles of the sculpting brush definitely provide more of a flawless finish and allow you to create that more defined look. I really want to try that eyeliner! I have the hardest time trying to find one that is easy to apply. And totally loving that toast eyeshadow! They have the best stuff. e.l.f. is seriously such a jam product line- so affordable + great quality! I love finding out about new products! I'm not too familiar with e.l.f, but their stuff looks great! i'm sorry about no sleep :( i hope today goes quickly for you! those shadows are def perfect for this time of year! and that mouse shadow stuff looks awesome even for summer. good descriptions girl! love elf stuff! I just picked up some new elf brushes the other day and am excited to try them out! Loving those eyeshadow colors! Hope you get caught up on sleep here soon lady! ELF products are such a great value! That eye liner sounds awesome! Why no sleep?? I absolutely love ELF brushes totally affordable and they don't shed. That mascara is definitely intriguing! Elf brushes are def some of my favorites! Glad it's Thursday for you! Haha!!! Get some rest! Elf has the best brushes for sure!! I really want to try that eyeliner! It looks like it would be so easy to apply! Those colors in the eyeshadow palette are so pretty! I typically try to stick to only browns and taupes, but I've recently started to fall in love with colors too! I completely blame the Naked 3 palette! oooh that eyeshadow palette is fun! looks great for NYE. and i'll have to check out that mascara.. i love to try new ones, and at that price you can't go wrong! i have their new brushes on my wishlist!! they look great. That gold shadow is gorgeous! The texture sounds interesting, but for the price it's definitely worth trying! elf has some of my favorite beauty products! That liner sounds so easy to use! About to go on an elf shopping binge! I absolutely LOVE their brushes. Hope you get some rest tonight, girl! elf for the win again! You have received so many amazing products from them - I need that contouring brush! I have some holy grail e.l.f. products and after this post, I have a few more to add to my collection!! !